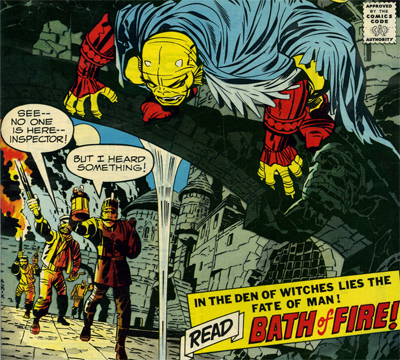 Of all of Jack Kirby’s seventies DC work, I think that everything must be somebody’s favourite. His Fourth World books bristled with ambition and perhaps serve as the most high-profile, influential and long-running of Kirby’s work with the publisher, but you never have to look too hard to find a proponent of the author and artist’s work on O.M.A.C. or Kamandi. While I am fond of all of Kirby’s DC work, enjoying the raw energy and sheer volume of ideas he brings to his high concepts, I have a soft spot for The Demon, if only because it’s a delightfully off-the-wall example of Kirby’s multiple interests bouncing off one another and familiar archetypes to create something that is often quite difficult to pin down.